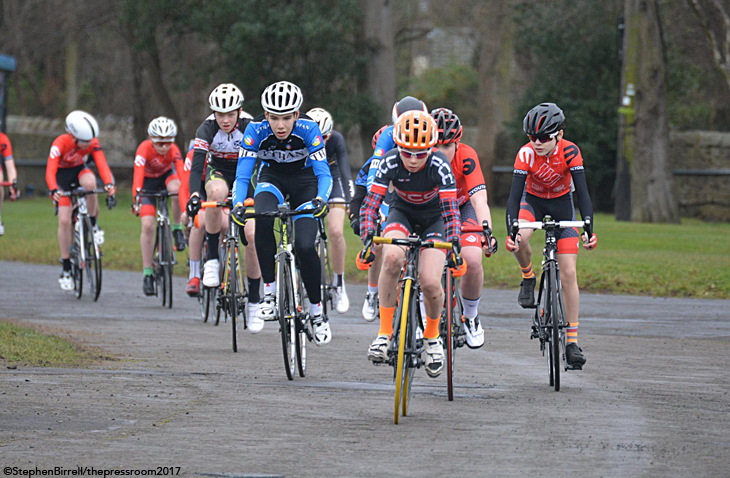 The traditional early season starter races, hosted by Edinburgh Road Club, saw 150 youth riders from all over Scotland and the North of England meet to break into the 2017 road season and see with what form riders had emerging from their winter camps and turbo training sessions. A newly designed course at Ingliston was used this year as a result of maintenance work on the traditional course layout. This added a ramp section, a hairpin and some testing corners on short straight tarmac making overtaking opportunities limited on the course. Youth A Boys race was to be a single 50-minute race, while other events on the schedule in the other youth categories enjoyed two races, one in the morning and one in the afternoon. The A Boys race was a fitting finale to the day and quickly saw a leading group established, followed by an early breakaway from Aaron King (Speedflex). After several laps, and with King increasing his lead, the chasing group of Jamie Johnston (Leslie Bike Shop) and Hugo Lutz-Atkinson (Speedflex) chased King down to a single main group again. This bunch kept its shape for the first half of the race. Halfway through the 50-minute event a burst from Jamie Johnston and Hugo Lutz-Atkinson established a two-rider breakaway that was to prove too strong for the chasing pack to reel in. The two riders worked together for the remainder of the race and it looked like it was set to come down to the final two corners of the circuit to decide first and second positions. Looking down from the finish line, waiting to see how the sprint would run, and the crowd was surprised to see only Lutz-Atkinson sprinting for the line; cruel blow for Johnston who came down on the hairpin only to see the bunch pass and rule him out of the podium spots. The chasing bunch, with two podium positions to fight for, instantly fractured with Hamish Mclaren (Speedflex) and Matti Dobbins (Johnson Jets) taking the positions and Aaron King having to settle for 4th place with only hundredths of a second deciding the placings. The Youth A Girls were combined with the Youth B Girls to allow two races on the day. Race 1 in the morning saw an early break with the trio of Anna McGorum (Peebles CC), Anna Flynn (Edinburgh RC) and Eva Young (Pedal Power) leading the joint field. After 2/3 of the race, the racing saw the 3-rider lead reduced to a convincing duo of Anna Flynn leading Youth A and Youth B being led by Eva Young. 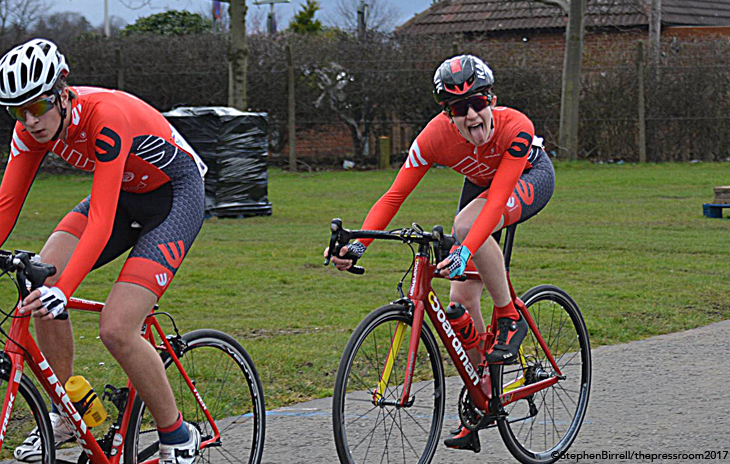 The two riders were too strong for the field on the day with a sprint finish delivering a convincing win for Flynn for Youth A and similarly convincing for Young in Youth B. The afternoon race mirrored the morning event with Anna Flynn and Eva Young sharing the lead until the last lap with Anna Flynn setting a strong marker down for the season. Youth B Boys racing saw an initial race with Callum Reid (Speedflex) suffering an early puncture and experiencing the new rules first hand with no lap-out to aid recovery in the race. The first race was contested by a sprint finish from a leading pack of six riders. 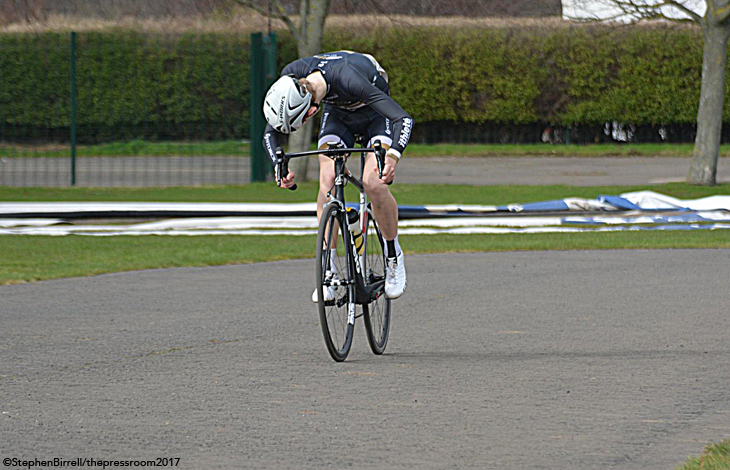 Alex Gibb of Edinburgh Road Club won the sprint with Fraser Gault (Ythan CC) just missing out by a fraction of a second for second place, Daniel Kain (Ythan CC) taking third to deny the contest for the sprint from Callum Reid. With no puncture problems in race 2 in the afternoon Callum Reid broke clear early on and established a convincing lead for the duration with a solo effort for the full race establishing him as the on-form rider to watch in this category this season. 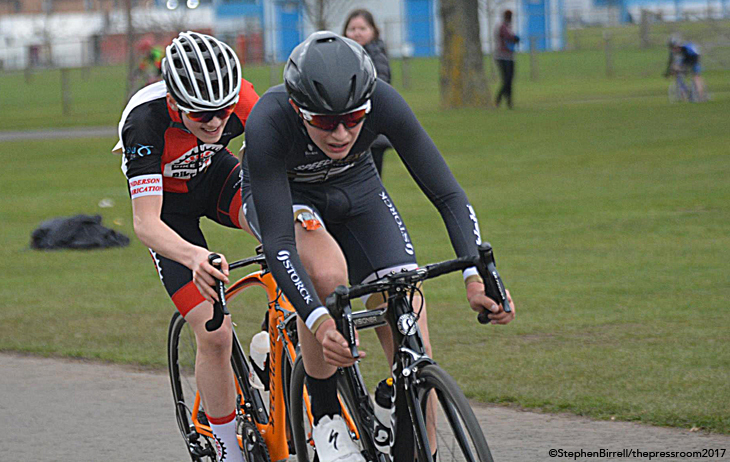 Alex Gibb took 2nd overall with a quality sprint in his second race and Fraser Gault just behind to take 3rd. The Youth C Boys race in the morning introduced the young riders to some treacherous corners as a result of the early morning drizzle. The boys race was dominated by Luis Ryder (Edinburgh Road Club), Oliver Kelly (Johnston Jets) and Harvey Kay (Edinburgh Road Club) taking the overall top spots respectively for the days racing. In the Youth C Girls the Peebles CC riders Emily Carrick-Anderson and Christina McGorum took first and second overall with Anna Reid of Speedflex taking 3rd spot. Youth D and E racing was a combined field racing for the under 8’s and under 10’s; these riders took to a circuit that was testing in the greasy morning conditions. However, the host club took full honours with an Edinburgh Road Club 1-2-3 of Innes McDonald, James Burnett and Alasdair Easton for the overall Youth D Boys podium. Youth D Girls were contested with Erin Boothman (East Kilbride Road Club), Hope Thomson (Deeside Thistle), and Anna Birrell (Carnegie Cyclones) overall winners over the two races. Youth E saw a mix of new-to-racing riders and established club riders duking it out with thrills and spills galore around the course, these young kids having to deal with the worst of the days conditions in the joint D and E race. In the Girls race Melanie Rowe of Deeside Thistle took top spot for the girls, and Louis Thornley (Cranked CC) for the boys.